Islamic Movement leader slams Palestinian Authority for crying 'crocodile tears,' promises Jerusalem will be capital of Islamic Caliphate. Sheikh Kamal al-Khatib, Deputy Head of the illegal Islamic Movement in Israel, published an article expressing his opinion what Jerusalem's status should be. The article, published in the Gaza newspaper Falestin, slams those who talk a lot about their love and connection to Al-Aqsa Mosque and notes that those who really love Al-Aqsa are the ones "who are active on the ground, hold Islamic activities in the mosque, renovate Muslims' homes in the Old City of Jerusalem, and were arrested or forced to pay a fine for their activities." According to al-Khatib, the Palestinian Authority is "competing with us in their love for Jerusalem" but they are also the ones who negotiated Jerusalem during the Oslo Accords and were willing to negotiate regarding Jerusalem. Today, when Jerusalem is becoming more Jewish, they cry crocodile tears. "The city of Al-Quds is the capital city of the Islamic Caliphate, which is run properly," al-Khatib wrote. "With the help of Allah, this will soon become reality." 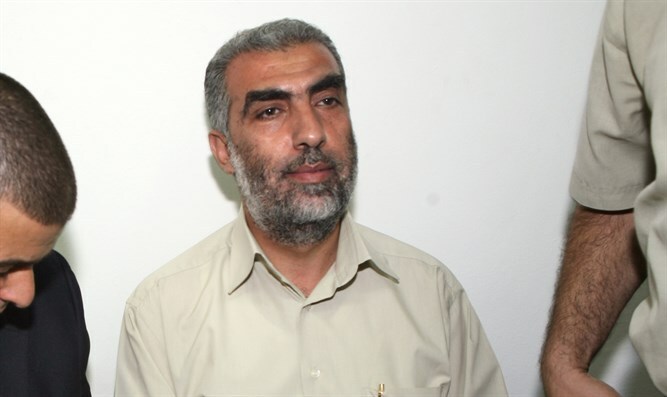 Al-Khatib, who serves as deputy chief of the outlawed Northern Branch of the Islamic Movement, was banned until October 2017 from entering Jerusalem or Al-Aqsa mosque. In July 2017, he claimed that Israeli authorities "persecute the activists by arresting dozens of them, preventing their entry to Jerusalem and Al Aqsa, and forbidding them to travel abroad."